Marvel Teaser: The World at War! The War of the Realms has made Earth its battlefield! 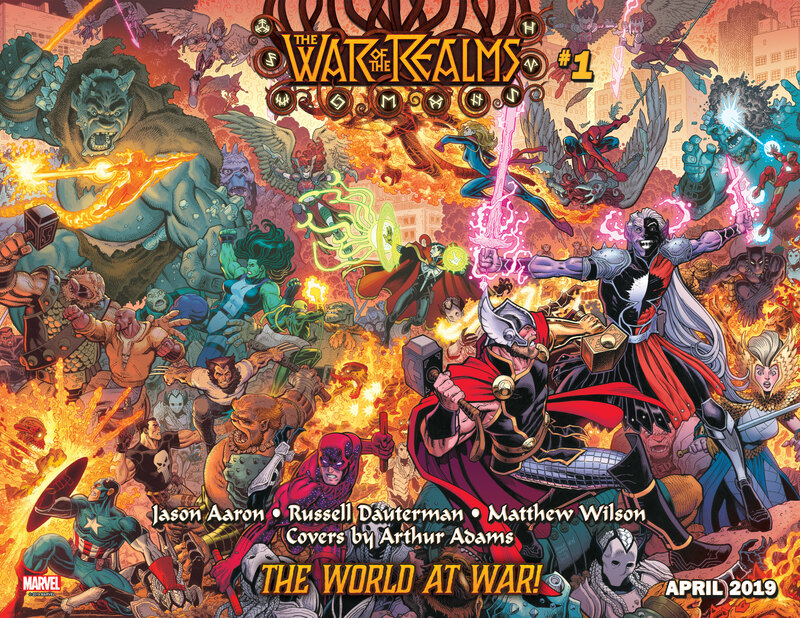 This April, one of the largest conflicts to engulf the Marvel Universe erupts in The War of the Realms – a new, epic crossover event from the award-winning creative team of Jason Aaron, Russell Dauterman, and Matthew Wilson, with covers by the legendary Arthur Adams! Marvel’s 2019 war-to-end-all wars must enlist every great Marvel Hero to save Earth…and beyond! Not since Secret Wars has a comic event had such far-reaching consequences for the Marvel Universe – be there when THE WAR OF THE REALMS starts this April!